Home Microsoft Powerpoint Where are the Speaker Notes in Powerpoint 2013? Where are the Speaker Notes in Powerpoint 2013? Notes can be an important component of a presentation that you create in Powerpoint. Whether you want to include additional information on handouts that you give to your audience, or you want to have some talking points that you can include while you are giving your presentation, the ability to add additional text that isn’t actually on the slide can be crucial. But if you are attempting to view existing notes or add new ones and you don’t see the speaker notes field, you may be wondering where it is. 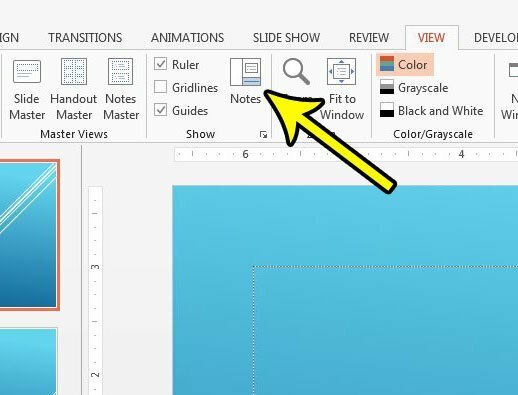 Our tutorial below will show you how to enable the display of the speaker notes section in Powerpoint 2013 so that you can edit them as needed. The steps in this article were performed in Microsoft Powerpoint 2013. 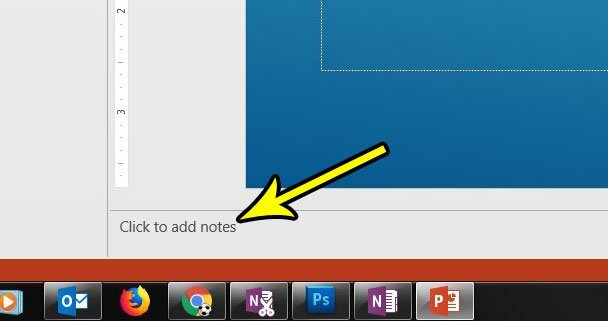 This guide assumes that you have speaker notes already, or that you wish to add them, but the section of the editing window that typically shows the speaker notes is not visible. Step 3: Click the Notes button in the Show section of the ribbon. 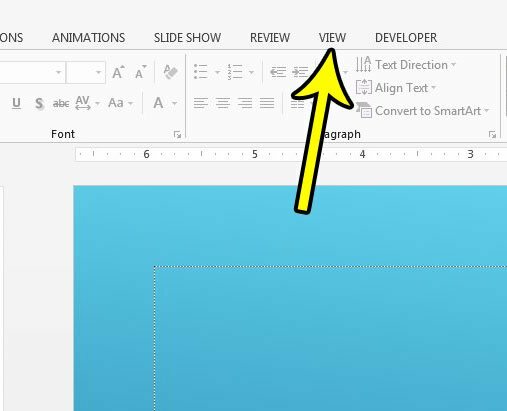 You should then see a new section below your slide that either displays the existing notes, or shows the messages “Click to add notes.” You can click inside that text field to edit or add speaker notes to your slide. Would you like to include a video in one of your slides? Find out how to embed video in Powerpoint either by adding a Youtube video or by adding a video that you have saved to your computer.